October 1, 2018 – Declared by the United Nations in 1999, World Space Week is a global celebration of space science and technology. The Space Foundation is celebrating the week with half-off admission to its public Discovery Center, where visitors can discover (or re-discover) the excitement of space and space travel. *The Discovery Center will be closed per regular business hours on Sunday, October 7 and Monday, October 8. Seeking Beyond explores the history, and legacy of the Space Shuttle. Visitors to the exhibit will learn about the Space Shuttle’s history through understanding its design and the people who were a part of the Shuttle missions. Hands-on activities bring Seeking Beyond to life, as visitors design and test their own “space planes,” learn what it took to fuel up the massive Solid Rocket Boosters and design their own mission patch. The exhibit also explores the legacy of the Space Shuttle program on future space exploration missions like the Space Launch System and beyond. 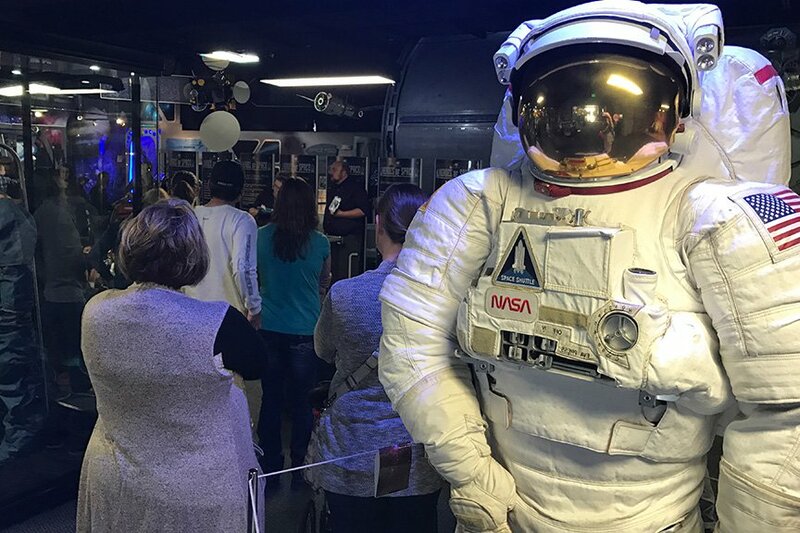 Along with these special events, visitors can enjoy a show on Science On a Sphere®, win a prize by participating in a scavenger hunt, take a Mission to Europa and explore Spacelab, a scientific laboratory used aboard the Space Shuttle. Discovery Center is located at 4425 Arrowswest Drive, Colorado Springs. Hours are 10:00 a.m. to 4:00 p.m., Tuesday through Saturday. Military discounts are available. For pricing and other information, visit www.discoverspace.org, or call the Space Foundation at 719.576.8000.